Our southern border has been front and center in the elections of 2016 & 2018, in the news, on late night comedies, and in national conversation. And this week, President Trump threatened to close the border with Mexico unless the Mexican government gets control of its side of the border. President Trump isn’t simply threatening to build a wall or detain illegal aliens…he is threatening to completely close the border, including all cross-border trade between the U.S. and Mexico. If your business relies on commodities, parts or finished goods from Mexico, what will you do if President Trump closes the border? How much will it cost you to source commodities or parts or finished goods from another country? Will your customers be patient while you make the transition? Will you be able to pass a price increase along to them or will you have to take the margin hit? Or, perhaps you can have goods shipped from Mexico to Canada to be brought into the U.S? How much more will it cost? Will your Mexican supplier cover all or part of the additional shipping cost? No matter how you look at it, a border closure with Mexico will make business far more difficult and almost certainly more costly if you rely on trade with Mexico. A border closure is likely to be temporary. It’s unlikely that Mexico can afford a long stand off with the U.S. Nevertheless, even a temporary stand-off could be miserable, costly and give your competition an opportunity to steal away your customers. In our experience as a captive insurance company manager, business interruption is often the most daunting risk that businesses face, and a border shutdown would constitute business interruption of the first order for many companies. 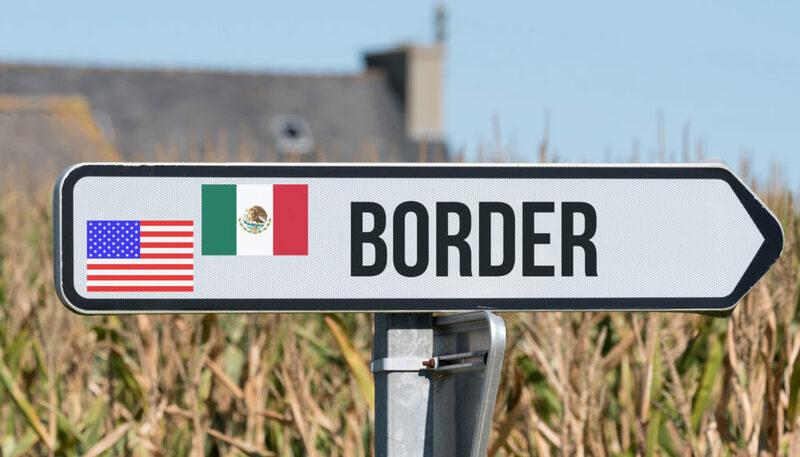 Also, it’s worth noting that commercial insurance to address business interruption is often limited in scope or cost prohibited and often would not apply to the closure of our border. Business Interruption insurance pays businesses lost revenue due to unforeseen man-made or natural events. This is one of many reasons that small and mid-market business owners make the choice to own their own insurance company, known as a captive insurance company. Captives are real insurance companies and can insure a wide range of threats that businesses face. Because they are licensed insurance companies, captives often have access to commercial re-insurance or reinsurance risk pools, enabling them to spread the impact of potential losses. Captives also have greater flexibility than commercial insurers to insure unique risks that businesses face, and they receive favored tax treatment to help them accumulate loss reserves. Broader policies with fewer exclusions are often a better approach to insure against unusual threats like business interruption due to geo-political risk, including a border closing. This makes owning a captive insurance company one of the most powerful strategies a business can employ to prepare for business interruption, including the closure of our southern border.